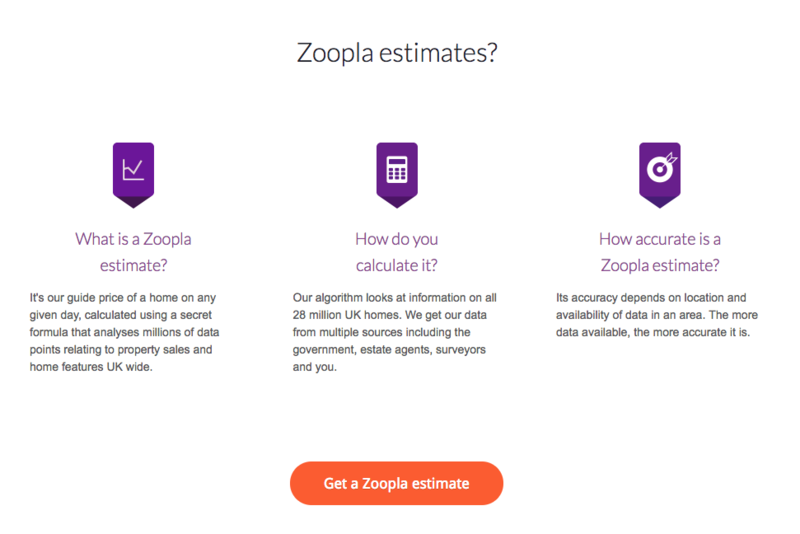 How do I get a Zoopla estimate? You can get a FREE, instant value estimate on ANY home - yours or anyone else's - by selecting the 'How much is my home worth?' option in the ‘House prices’ section of our website. 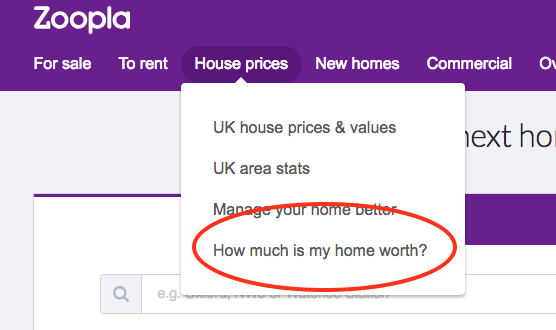 Scroll down, then select 'Get a Zoopla estimate'. Enter your postcode and select your property from the list. 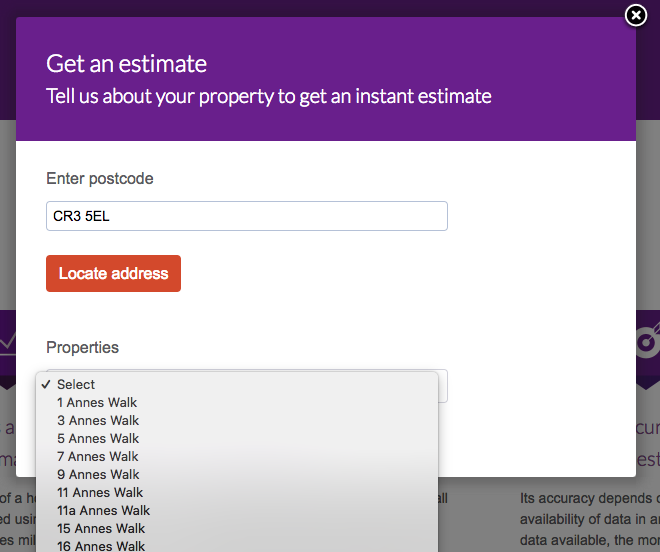 If the property you are looking at doesn't have an estimate value, you can get it at any time by selecting the 'Get estimate' button. You will then be taken to the following page where you will be required to fill out the Refine Estimate form. Once you get the estimate, you will be prompted to provide feedback on our value estimate that has been calculated based on the data you have supplied. You can also get a local estate agent to provide a FREE, no-obligation valuation of your home by selecting the ‘How much is my home worth?’ link under ‘House prices’ and clicking on the ‘Get a FREE agent valuation’ option. Alternatively, you can click on the 'Book an agent valuation' link on any property in the ‘House prices’ section of our website. You can also share your knowledge of any property using the 'Edit property details' link.